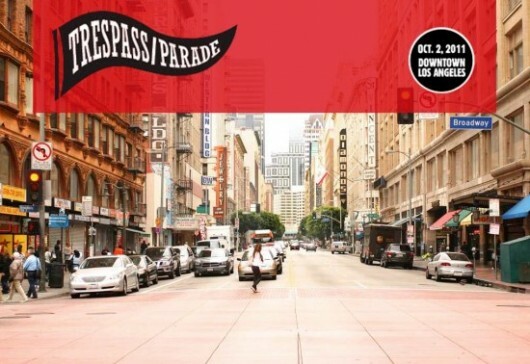 If a lifestyle of artwork or activism falls somewhere along your spectrum of personal interests, there’s a place for you among the masses gathering in the Broadway Theater District of Downtown LA this weekend for Trespass/Parade. As part of the Getty-sponsored, region-wide initiative, Pacific Standard Time: Art in L.A. 1945-1980, Trespass/Parade is one of the official opening weekend celebrations. A massive collaboration of socially conscious artists, this is not your grandmother’s rolling rally – an amalgam of musicians, performers, dancers, and artists of all walks, all coming together to heighten awareness in surrounding communities. Highlighting the careers of storied artists Arto Lindsay and Rirkrit Tiravanija, Trespass/Parade will also feature a live performance from Killsonic and a final reception at The Museum of Contemporary Art. Tickets to the Monday night party at Union Station are available for a minimum $200 donation.